Take a journey from the city to the beautiful Highlands of Scotland. 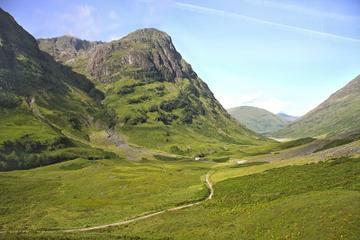 Enjoy a full day exploring the Scottish Highlands, taking in the atmospheric scenery of Glencoe and Rannoch Moor. Visit Urquhart Castle, take a Jacobite boat cruise across Loch Ness and end your day in the picturesque highland village of Pitlochry.